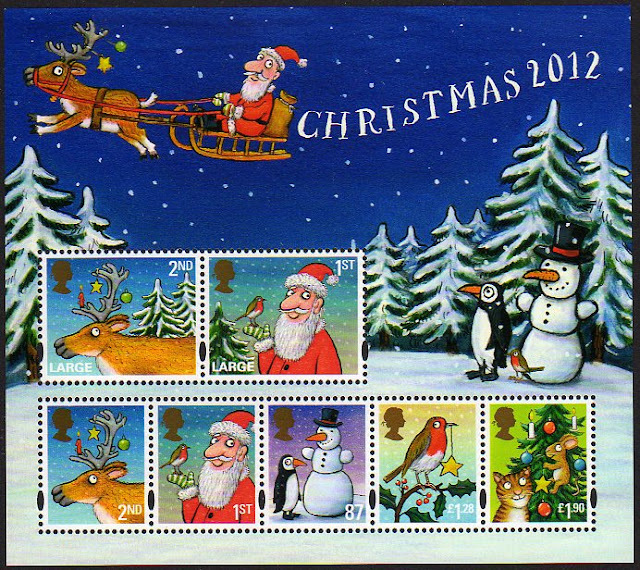 The Christmas stamps this year have been designed by Webb and Webb using new illustrations by Axel Scheffler - the artist who illustrated the children’s classic The Gruffalo. 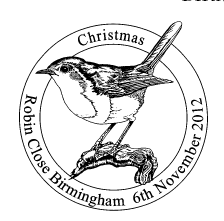 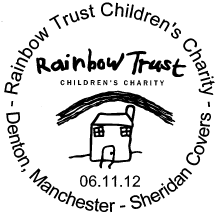 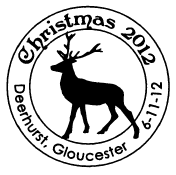 As usual the stamps will be in standard and large letter definitive size and self adhesive. 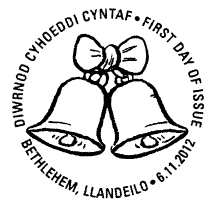 There will also be a conventionally-gummed miniature sheet containing all stamps, booklets of 12 x 1st and 12 x 2nd stamps, and a Smilers Generic sheet with - probably - 2nd, 1st, 68p & £1.10 stamps. 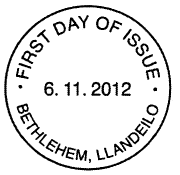 The two 2007 Madonna stamps will also be reissued to provide the religious alternative. 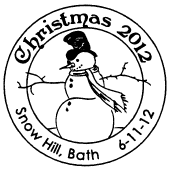 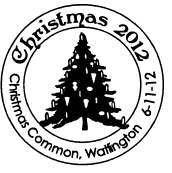 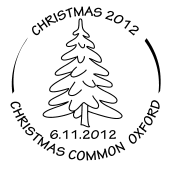 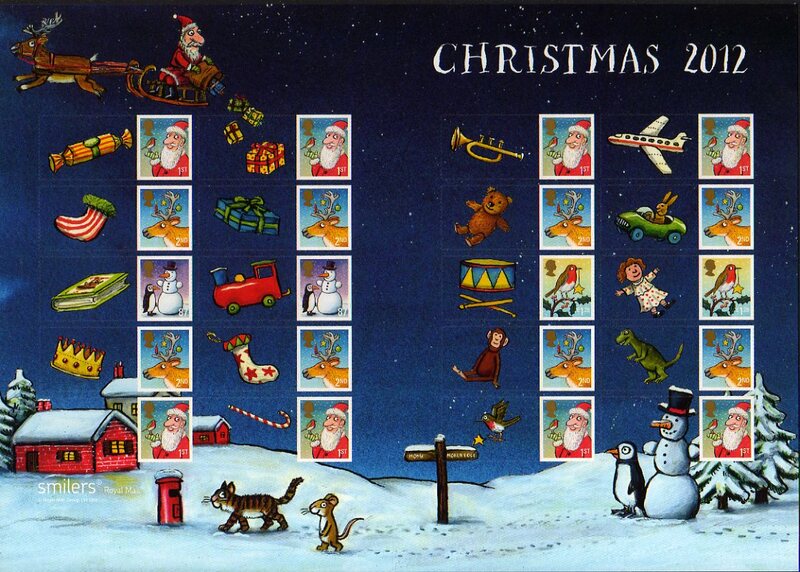 Since 2006 all Christmas stamps are standard definitive size except for the 1st and 2nd Class Large stamps, where the 1st and 2nd Class images are repeated but with more detail revealed on the wider format stamps. 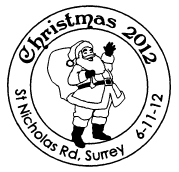 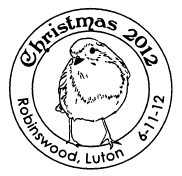 All Christmas stamps except the miniature sheet are self-adhesive. 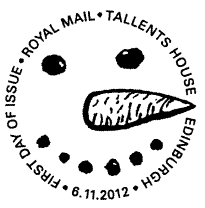 Special postmarks available for the day of issue will be shown here (not to scale), others may be added later.